Autumn is my favourite time of year and I absolutely love to enjoy the last of the warm days. With the days shortening, I know I’ll be making the most of the last remaining bright autumn days with lots of walks in the local parks. It’s beautiful to see the change of the seasons through the changing colours in nature and I am aiming to head outside as much as I can to make the most of it! To top off a day spent outside saying goodbye to summer, there’s nothing better than welcoming autumn by snuggling up indoors in the evenings and and enjoying some of my favourite comfort foods! Lucky for me autumn’s seasonal vegetables are bountiful and are some of my favourites! In fact, this is the perfect time to enjoy a break from meat and indulge on the vibrant vegetables that autumn has to offer. This recipe includes some of my top veggie comfort-food ingredients, including aubergines, delicious staple potatoes and my favorite - cheese! This aubergine, potato and goat's cheese gratin is my go-to recipe at this time of year, as the ingredients are easy to find, and the dish easy to put together. The subtle flavours are a perfect transition from summer’s light and crisp textures to autumn’s more deep and indulgent ingredients. Pair this recipe with a refreshing glass of Appletiser to add a gently sparkling kick to the mix and you have the perfect pairing! Have a go at making this delicious meal and let me know how you find it! Pre-heat oven to 180 degrees or gas mark 4. 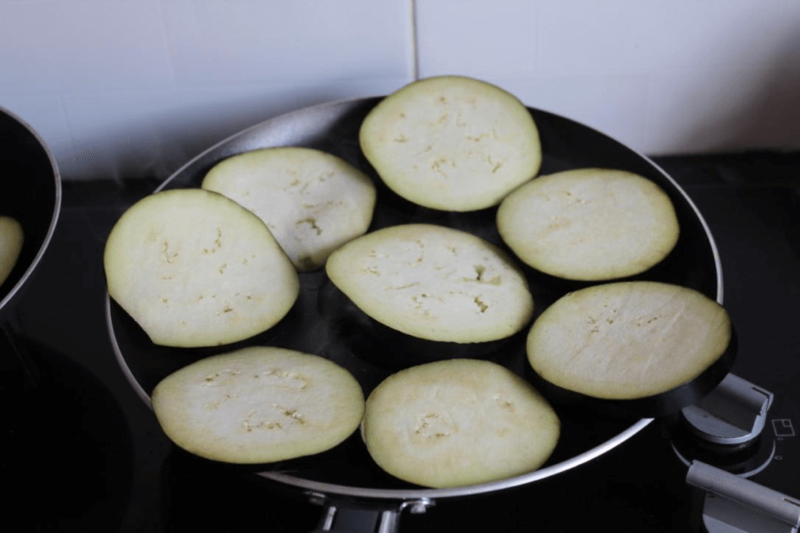 Heat 2 tbsp of olive oil in a frying pan and cook the aubergines in batches. Brown them on both sides and then lower the heat to cook until they are soft. Add more olive oil as required. Season as you go. Once the aubergines are cooked, heat another 1 tbsp of oil in the pan and add the onions. Cook the onions on a medium heat for about 10-12 mins until they have softened, then add the garlic and cook for another few mins. Slice the potatoes very finely ready to layer in the gratin dish. Prepare the gratin dish by brushing with olive oil. Arrange the vegetables in layers in the gratin dish. Start with half the potatoes, then half the aubergine, onions and tomatoes. Sprinkle the rosemary, lemon zest, crumbled goat’s cheese, olives and seasoning, along drizzles of olive oil on the layers as you go. Add another layer of aubergine, onions and tomatoes, again adding the other ingredients as before. 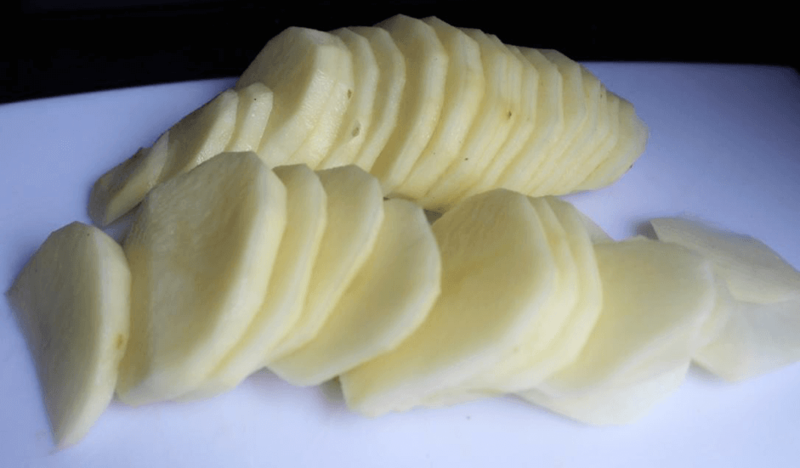 Finish with the rest of the potatoes arranged on top. Brush with olive oil and bake for 45 mins. 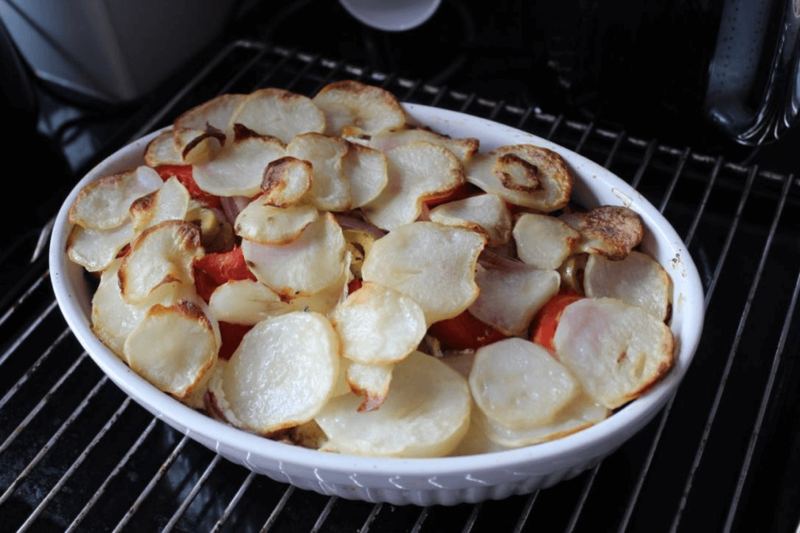 The gratin should be soft, the potatoes tender and the top golden. Pour yourself a cold Appletiser and enjoy! Enjoy this dish cuddled up indoors with a sparkling glass of Appletiser and savour the #perfectpairing!